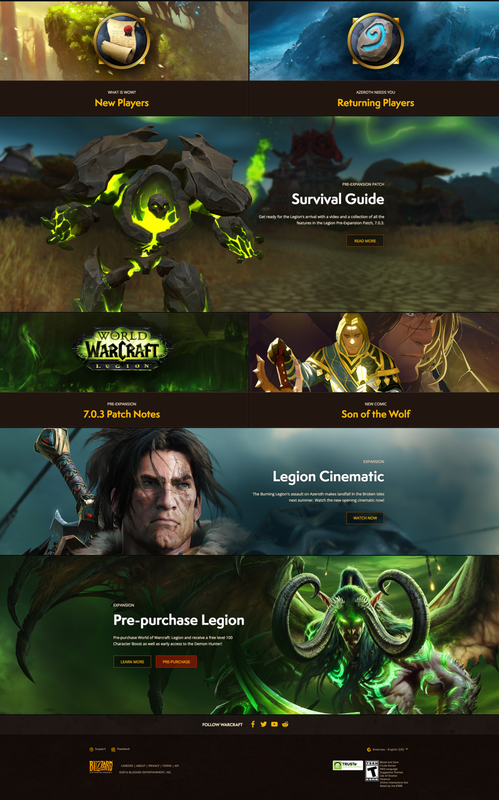 Challenge: Completely reboot the aging World of Warcraft game site using responsive design principles. We needed to implement a user experience that players could use on any device while maintaining an emotional connection to the game. Our guiding principles were Focus & Discovery. Focus the message and allow players to easily discover site features relevant to them. We partnered with the game development and community teams to craft an experience that players from around the world could use as a tool to enhance game-play experience. 1. Analyzing user patterns on the old site to inform new design decisions. 2. 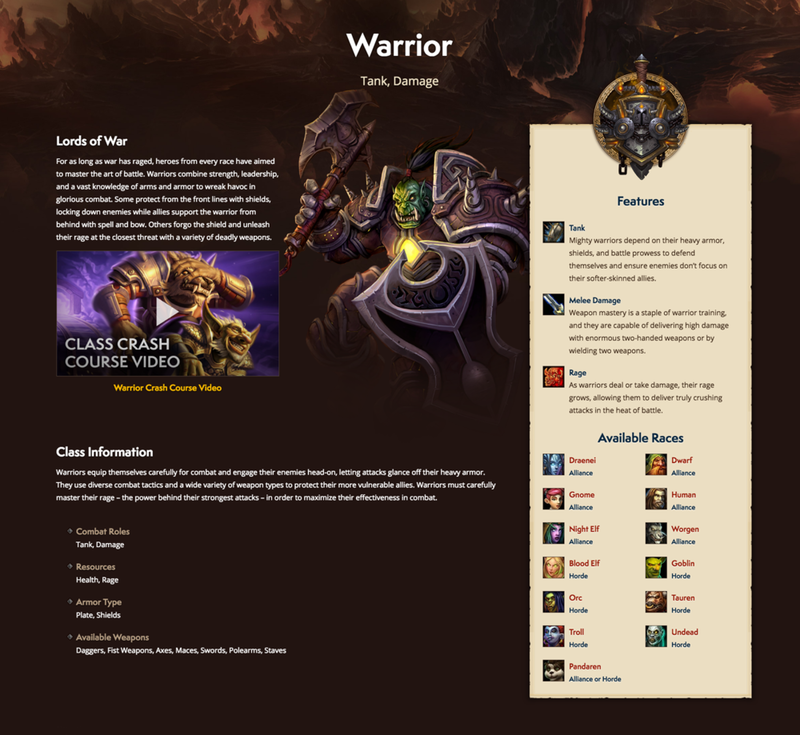 Crafting user surveys and documenting results. 3. Wireframe design and user testing on prototypes in Axure. 4. Visual design on navigation elements, tiles, icons, etc. 5. Presentation to leadership and stakeholders.